Irish Ferries has said all sailings of the Ulysses (see also CruiseMapper) on the Dublin-Holyhead route have been canceled until further notice. In a statement, the company said the cancellations were a result of a technical fault. A spokesperson for Irish Ferries said a problem was found with a propeller shaft necessitating the ship going to dry dock for a number of days. The Epsilon vessel, which sails on the Dublin-Cherbourg route, will replace the Ulysses on the Holyhead route from next Friday, until the Ulysses returns from dry dock. Dublin-Cherbourg services operated by the Epsilon next Saturday and Sunday have also been canceled. The company has said it expects that the ship will return to normal service by the middle of next week. It added all passengers affected are currently being advised and will be accommodated on an alternative ship or sailing. 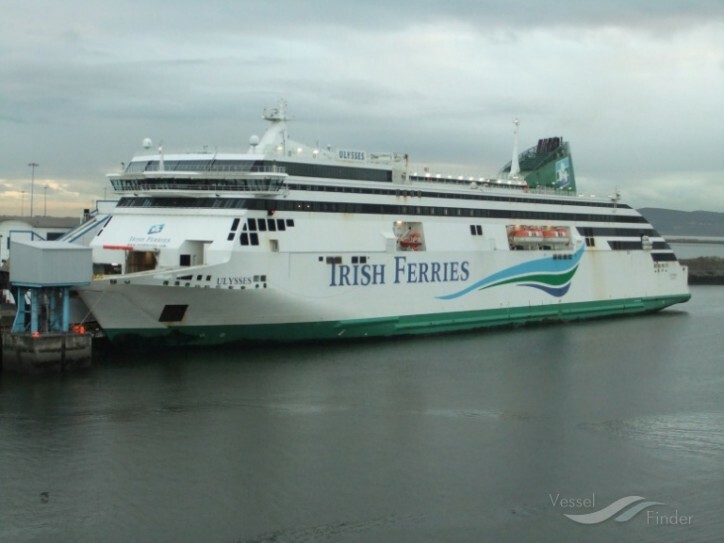 Earlier this month, Irish Ferries was forced to cancel of all summer sailings from Dublin to France on its new WB Yeats ship. Almost 20,000 people who were due to travel on the ship between 30 July and 17 September were affected.